Developers at Nival, creators of games such as Prime World and the Blitzkrieg series, have set their aims high in their latest endeavor, working to solve the problems they see in the most popular games of today. Working off an influence in any creative endeavor is commonplace, if not compulsory. Taking inspiration from two very unique and very lofty gaming experiences and crafting an entirely new escapade in a captivating way, however, is the definition of above and beyond. Prime Arena is an upcoming 32 player free-for-all, claiming the MOBA genre and the new cult-hit PlayerUnknown’s Battlegrounds as main influences. Last Man Standing, as a game mode, is cursed with the fact that, until the next round, players who have died are stuck in a purgatory of spectating until the very end. Instead of forcing gamers to wait it out after losing, however, the game offers a unique alternative. If you die in the game, your game dies with it. As soon as your active part in the game ends, you can leave the match and immediately dive right into your next. This is just the first innovation that the team behind this game is working towards setting. Developers at Nival, creators of games such as Prime World and the Blitzkrieg series, have set their aims high in their latest endeavor, working to solve the problems they see in the most popular games of today. Prime Arena is founded on a fascinating principle: eliminate teamwork. The quintessential experience of online gaming is 10% strained cooperation, 15% squatting repeatedly over your downed enemies, and 75% having homophobic slurs hurled at you by the thirteen year-old on your team (whose mom doesn’t know is playing hooky). 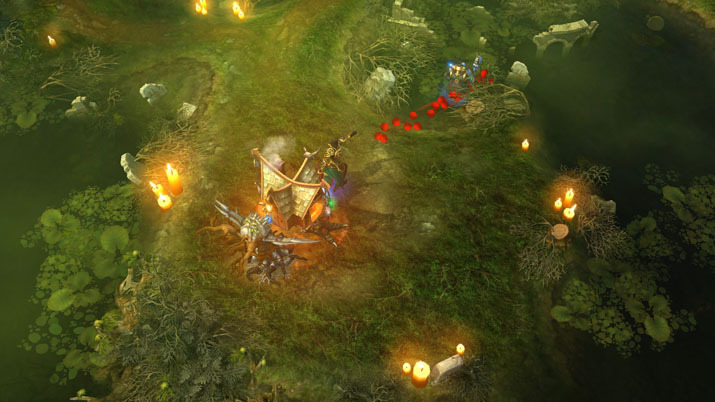 This game strives to eliminate the less-enjoyable parts of multiplayer by taking the standard MOBA format and demolishing the concept of teams. Without the forced socialization inherent in the average team-based games, players are guaranteed an overall, more fulfilling, and more enjoyable gaming experience. Rather than focusing on how poorly teammates may be performing, even the most negative of gamers will have nothing to pay attention to besides bettering themselves. One of the most detestable aspects of any online game is the inherent toxicity in its community, almost regardless of what game it specifically is, so achieving their goal of, “No teammates, no cry” would truly be an incredible feat. There is a heavy fog of confusion at first that can be hard to pierce through, but once a sense of footing has been found, the game is plenty straightforward enough to guarantee a riveting match without much guiding. 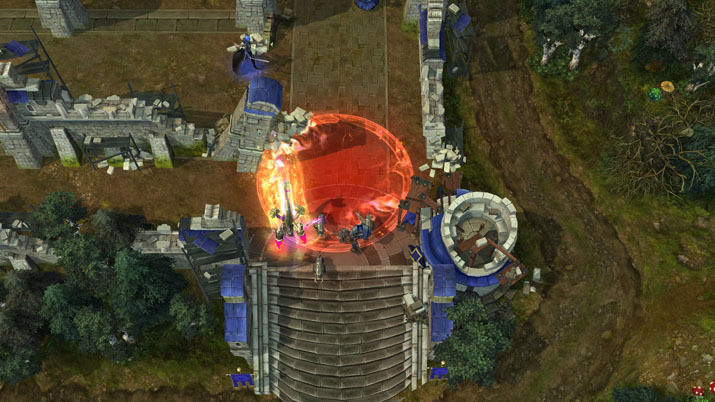 Prime Arena does a standout job of putting a new spin on familiar facets. The map draws inspiration from PlayerUnknown’s Battlegrounds, shrinking as the game goes on, forcing the fight on any players attempting to bide their time in the jungle. To make this trickier, the tried-and-true MOBA trope of vision being limited to solely you and your teams surrounding areas is in effect. The one obvious catch, however, is that without teammates, you are blind to the 99% of the map you are not in. This does make it more than a little difficult to find your way to enemies and objectives when you are not overly familiar with the landscape, but the challenge keeps players on their feet all the more. Gameplay itself takes a bit of getting used to, although previous experience in the MOBA genre will be tremendously beneficial. Both the goals of the match and the controls needed to accomplish them are far from intuitive. There is a jungle full of wild creatures ready for a fight, but no explanation of what can be gained by fighting them or whether you are even capable of taking them on. There are no tutorials, no instructional voiceovers, not even an occasional popup tooltip. That being said, the aim of the game is simply to be the last one standing, so not much is being missed out on by being thrown in blind. There is a heavy fog of confusion at first that can be hard to pierce through, but once a sense of footing has been found, the game is plenty straightforward enough to guarantee a riveting match without much guiding. One of the strongest things this title has going for it is the expansive roster of characters from which to choose. Pulling from all over the spectrums of race, gender, culture, ability, species, and more, Prime Arena boasts over twenty visually and technically unique heroes, guaranteeing a perfect match for every playstyle. This is a strong contrast the the staple in the genre: character-select screens tend to all blend together after a while, showing the same design after same design, playing into the same tired cliches over and over. This game, however, thwarts that expectation entirely. Despite having such a large array of playable characters, Prime Arena does a phenomenal job of giving each a distinct character that is set apart both from their companions in this game and from their counterparts across the genre. There is only one character clearly plagiarizing not just the physical appearance, but the distinct characteristics of an already well-established cultural figure. However, Albert Einstein surely would have approved.